Happy Hamby Campers: We gave him a lift! Unlike our first Fudd truck, Elmer the Gold was a standard 1996 Landcruiser when we bought him. The previous owner had not made any modifications. In contrast Elmer the Blue was already fitted with a 2" lift. Not only did that make him taller, it strengthened his rear suspension for towing. 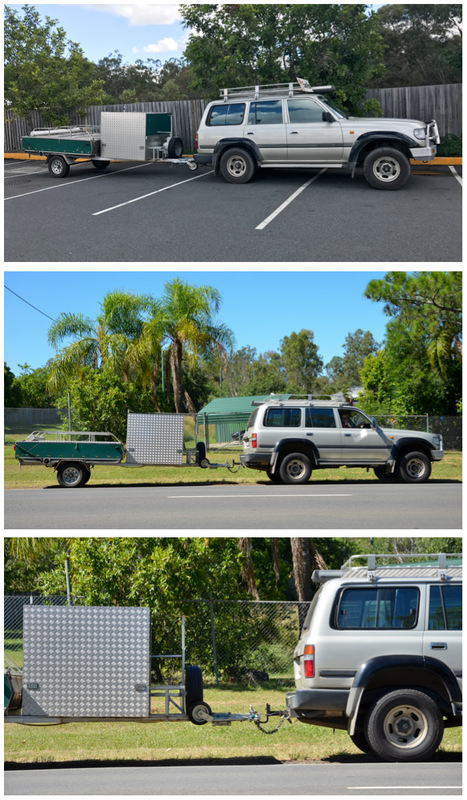 The difference between the two Elmers was quite obvious when we bought our camper trailer. The top pic shows it hooked up the day we brought it home. (It was empty at the time). The middle and second photos were taken after the heavier suspension was fitted - much better, eh?! 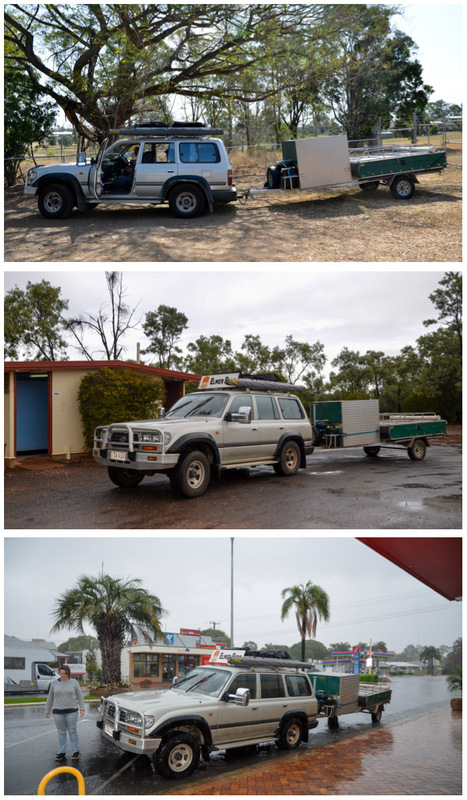 The rear end sagging was more obvious when we had an overnight trip in August (top pic of second collage) and then drove fully loaded out to Yowah in September (middle and bottom pics of second collage). It wasn't possible to organise Elmer the Gold's lift kit before heading out to Yowah. The best available option was to book him into the mechanic the day after we returned. He's now as tall as his predecessor and after miscalculating our exits a few times in early October (ie Erin and I both almost fell out, rather than dismounting gracefully), we are used to his increased height. For the record, Elmer the Gold is too tall for the 2.3m height-limit of most underground parking stations! Best we remember that!